Everywhere I look there are bananas going soft. Some are squishy, black and covered in flies. I open cupboards and look under floorboards. 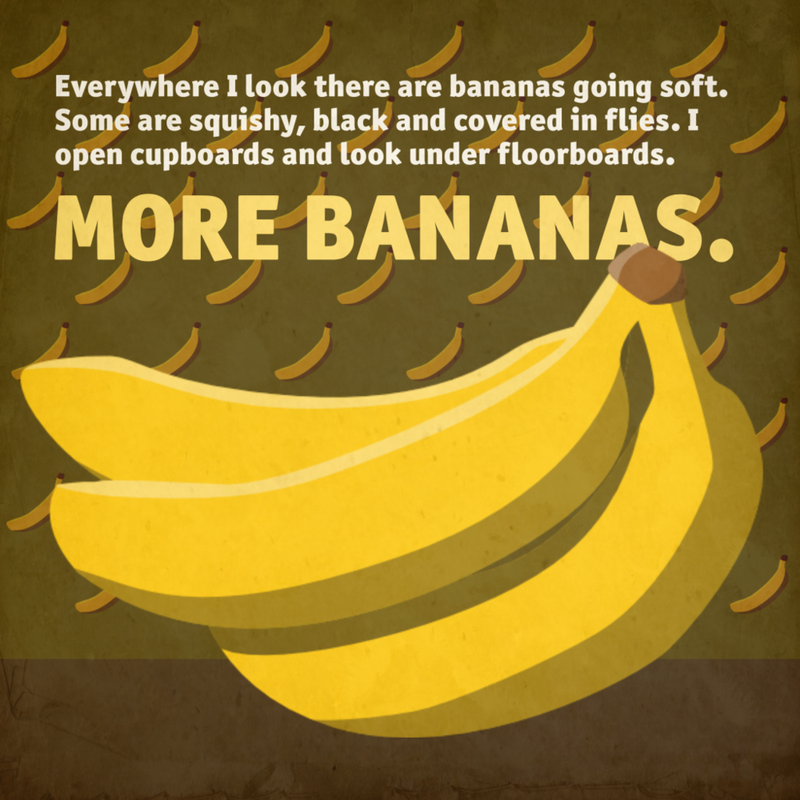 MORE BANANAS.